Regulation reboot: What is OSHA’s fate under a Trump administration? During last year’s presidential campaign, President Donald Trump ran on a variety of issues — with deregulation in order to create a more business-friendly environment as one of them. So far, the administration, helped along by a Republican-led Congress, has stayed true to its word. In fact, one of the first actions Trump took as president was to initiate a freeze on new regulations, a 60-day postponement of published but not-yet-effective rules and a withdrawal of those regulations not-yet-published but submitted to the Office of the Federal Register. What the administration hasn’t made clear, however, is how it will deal with the regulation-heavy Occupational Safety and Health Administration — which is tasked with making sure American employers are creating safe workplaces for their employees — and what a potential change could mean for construction companies. An initial glimpse into Trump’s OSHA could be revealed in the press release section of the agency’s website. During the Obama administration, the language of OSHA releases outlining the latest safety violations and fines around the country leaned toward “shaming,” ostensibly to spur employers to beef up their safety programs. As a result, the perception of OSHA returned to what it was in the 1970s and early 1980s — “a motorcycle cop behind the billboard waiting for you to speed by,” said Edwin G. Foulke Jr., former assistant secretary of labor for OSHA under President George W. Bush and current partner in the Atlanta and Washington, DC, offices of Fisher Phillips. The publication of these types of releases continued through January — and hit a dead end on Inauguration Day. Since Trump took office, not one release about a company fine or citation has been published. “Enforcement by shame is not an effective safety tool,” Foulke said. He added that he doesn’t expect more of those harsh press releases to come anytime soon. Alternatively, he said, OSHA under Trump will likely focus on a lighter approach and help employers comply with regulations rather than hitting them with stiff penalties and several citations. OSHA has not responded to a request for comment. Enforcement isn’t going to stop, Foulke emphasized, but the agency will most likely devote more of its resources to improving safety. “We’re going to see balance,” Foulke said. “The overall goal of the government should be to protect citizens, but [it] should also help businesses be successful.” This is particularly true for medium and small business, which are the job creation engines of the U.S. economy. However, domestic corporate benefit isn’t the only end game. “The more we do this type of stuff and create jobs, companies around the world are going to say, ‘I can make money there as well,'” Foulke said. Spencer Wiegard, partner at Gentry Locke in Virginia, said Trump’s views on OSHA could also be colored by his prior dealings with the agency as a developer. “I do know that in his business past, in dealing with construction projects and development, he has faced OSHA investigations, inspections and enforcement action,” he said. Ashley Kaplan, senior employment law attorney for ComplyRight, said it is “only natural” for a high-profile business owner like Trump to be sensitive to the impact that the disclosure of labor violations can have on business. To that end, the Republican-Led Congress has struck down the “blacklisting rule,” or the Fair Pay and Safe Workplaces Act, that requires contractors to provide a list of labor law violations as a condition of the federal contracting process. This same bent toward increased corporate privacy has also put OSHA’s electronic recordkeeping rule in the crosshairs of the administration. The regulation would make employer injury and illness records public. In addition, there are now rumblings that the controversial silica rule that went into effect last summer could be in danger of repeal. Foulke said that two questions the new administration could pose to employers in order to set a course for the agency are: Which OSHA standards are too burdensome, and what new standards are necessary? Using the negotiated rule making process, he said, the agency and industry leaders could come up with productive safety solutions. Other than negotiated standards, Foulke said he doesn’t believe there will be much rulemaking in the next four years, or the next eight if Trump is re-elected. And then there are the fines. OSHA increased its fines 78% last year as part of a federal budget mandate to bring all agency penalty structures in line with the Consumer Price Index. Any change to those fines would have to be brought thorough the legislative process, Wiegard said, but the administration could decide to tackle future increases with a cap. Wiegard said another tack Trump could take to affect the agency is to reduce funding. He fired shots across that bow earlier the week at his first official cabinet meeting, during which he asked agency heads to begin chipping away at their respective budgets via a reorganization of the executive branch. Reduced funding, Wiegard said, would serve as a de facto order to decrease enforcement because there wouldn’t be enough resources to carry out investigations. That might sound like good news to some employers who have sat across the desk from an OSHA investigator, but Kaplan said contractors should be careful what they wish for. In addition, “When there is gridlock at the federal level, in a lot of areas, state and local lawmakers pick up the pace,” Kaplan said. These local regulations could be more restrictive than a more comprehensive federal law and lead to a confusing tangle of regulations from a variety of jurisdictions. That’s not to mention the practical issue of how something like a rule change impacts contract language, policies and procedures — and even the mandatory onsite poster requirements. “Since 2009, there have been 18 mandatory federal-contractor posting changes,” Kaplan said, with three taking effect this year. To add to the burden, she said, the government doesn’t always tell companies when there is a change, so firms risk the fines and penalties associated with noncompliance. One issue that most industry experts have agreed on is the fact that that Trump’s labor secretary nominee Alexander Acosta, whose confirmation hearing is scheduled for next week, will be a benefit to the department and to OSHA. “It looks like he has a lot of tools to be an excellent secretary of labor,” Foulke said. Acosta understands the way government works, he said, and is already familiar with the rules and regulations that the Department of Labor oversees. Acosta was Trump’s second pick for the post, as his first choice, Andrew Puzder, withdrew his nomination last month after the GOP was reportedly concerned he would not be confirmed by the Senate. Kaplan added, “Everything I’m hearing [about Acosta] is positive on both sides of the table.” Acosta has a good reputation of being objective, she said, and is likely to be on board with Trump’s goals of reducing regulation. “However, he has a record of public service, is a civil rights advocate and is open on immigration law issues,” she said. How will the likely new DOL head affect OSHA management? “We won’t know until things start rolling,” Kaplan said. Spencer Wiegard is a Partner and a member of Gentry Locke’s Construction Law and Commercial Litigation practice groups. Spencer represents general contractors, subcontractors, trade contractors, suppliers and design professionals. 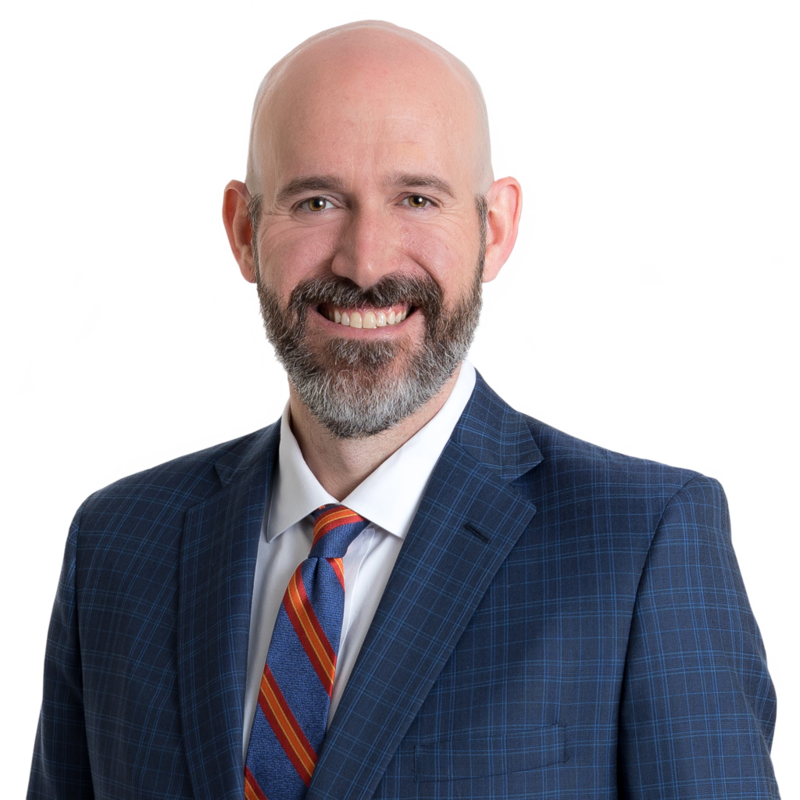 He is a member of the Board of Governors for the Virginia State Bar Construction Law and Public Contracts Section and a member of both the Legislative Committee and the Executive Committee for the Roanoke/SW Virginia District of the Associated General Contractors of Virginia. Spencer is the current AGCVA Roanoke District President.